For years I have been on a quest: duplicate Carlos O’Kelly’s salsa. I know it doesn’t look the most gourmet, and it isn’t, but it is good. But the thing that I have lusted after all these years is the salsa, and when the restaurant in Fairfax closed my attempts to replicate it reached a fevered pitch. Their salsa seems simple. 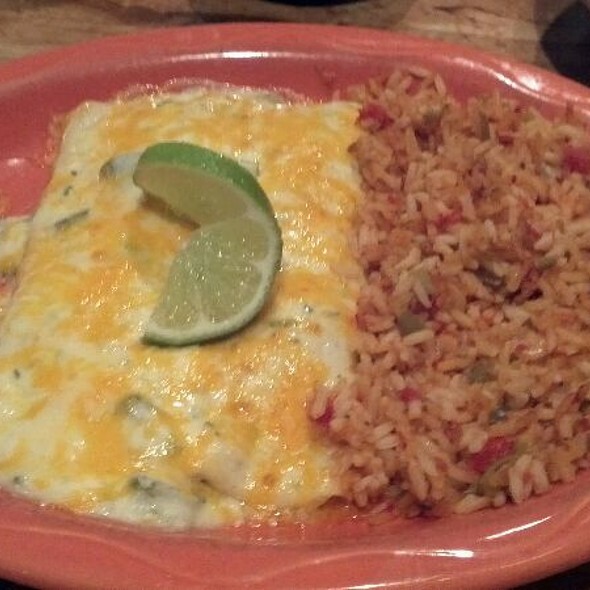 A not-too-chunky red with bright cilantro and lime and something else I could never quite pinpoint. There’s no chili powder in this and very little to no cumin from what I can tell. It isn’t spicy (which I guess helps its mass appeal). I have tried many times to get this salsa right–there have been versions with several different brands and flavors of canned tomatoes (I even spotted the brand they use–Casablanca–in their dumpster once, but have not been able to find it anywhere! ), fresh tomatoes, roasted tomatoes (canned and fresh), tomatillo mixed in, red onion, white onion and the list goes on… There are many copycat recipes out there. I’ve tried them. But, ladies and gentlemen, I have FOUND IT!! You will find them in that area of the grocery store (usually by the herbs) with all the odd little things like tomatillos, yucca root and that little orange fruit wrapped in a white foam cage. 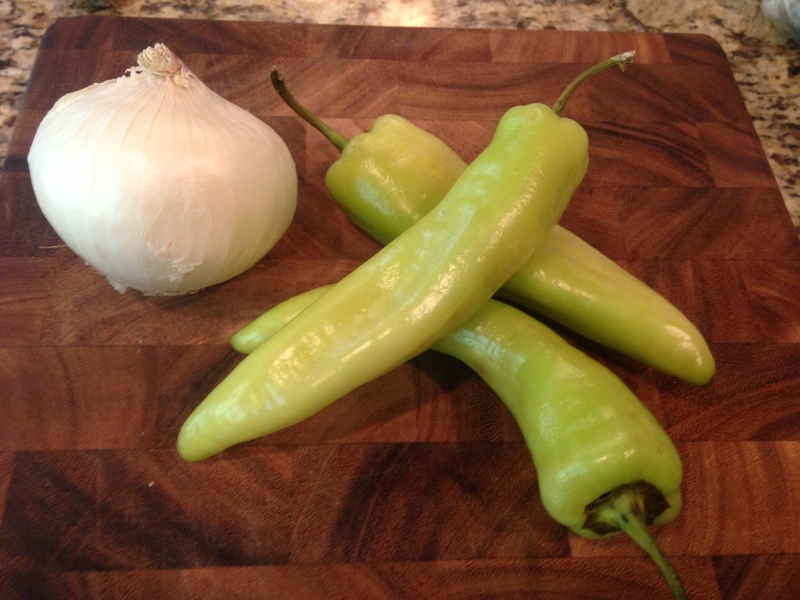 I tried this pepper and it is a bit like a delicate green pepper. I didn’t find it too hot–it did leave a little burn on my lips after a few seconds though. However, if you’ve just been to the salon to have your eyebrows done DO NOT touch your eye area after cutting this pepper. Holy cow… the pain! After that, you blend a few cans of diced tomatoes to desired consistency and then fold it all together. Voila! Delicious salsa. I also found the new Tostitos Cantina Thin and Crispy chips at the store. Finally! What took them so long to realize that people love those thin tortilla chips previously only found at mexican restaurants?? Note: This makes 7 cups! It’s the smallest I can get the recipe without doing weird things like using 1.5 cans of tomato. 2. 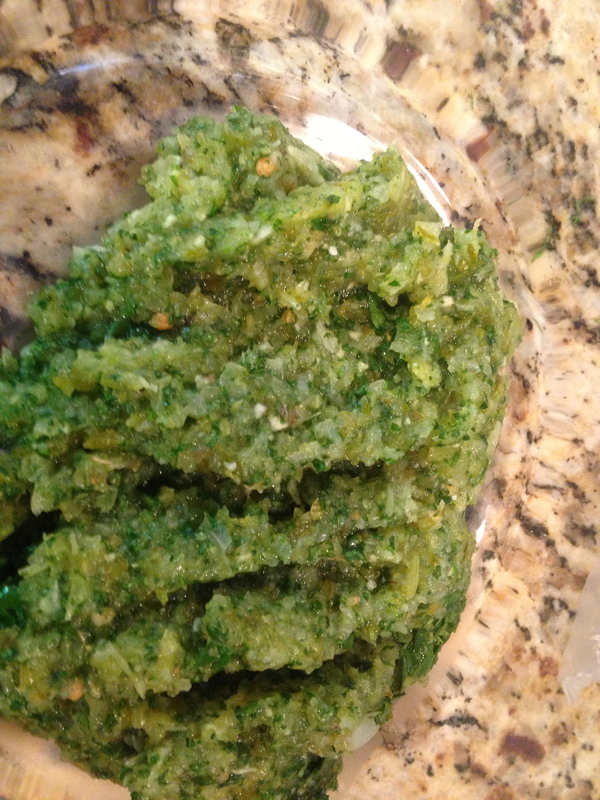 Put this green mix in a bowl and dump the tomatoes and their juice into the blender. Pulse this until it is the consistency you like. 3. Pour tomatoes over the pesto and fold together. Taste for seasoning and add more salt or lime if desired. This is a Mexican spice mix used in a lot of soups and sauces. You can find it in Latino supermarkets, but I didn’t feel like driving there so I made my own simple mix and just added it to the blender. If you have a well stocked spice cabinet, you probably already have all of these spices (used dried!). I just went by feel: a few shakes of this, a few shakes of that. It worked. 2 parts oregano, 2 parts onion flakes or powder, 1 part coriander seed, 1 part cumin and 1 part chili flake. Enjoy! But be careful: this stuff is pretty addictive! 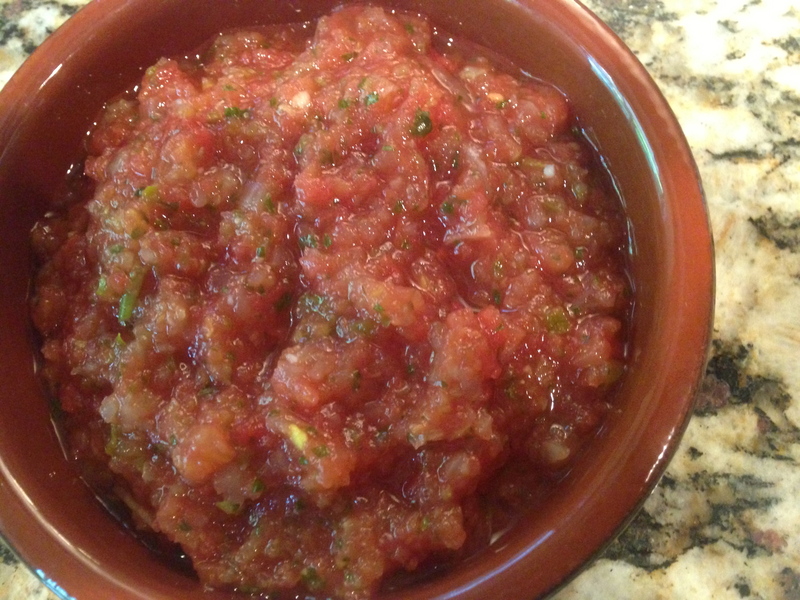 This is amazing salsa-very fresh tasting love it! going to the store today to see what i can find…. Carlos o’kellys your coming to the caribbean! sadly our Carlos just closed and I have been on a quest to duplicate their salsa also. . On the menudo mix…am I reading it right you just sprinkled this in until you thought it was right or did you make a certain amount and put it all in(and how much was that??) thanks for the recipe. I am sorry to hear your Carlos O’Kelly’s closed; I feel your pain! To be honest I never measure the menudo mix but I can say that what I add isn’t a whole lot. If I had to guess I would say that i probably use about 1/2 teaspoon each of the oregano and onion powder and 1/4 each of the coriander and pepper flake. It’s the kinda thing where I add a few shakes of this and a few of that–it always turns out really good in the end. Let me know what you think when you make it.